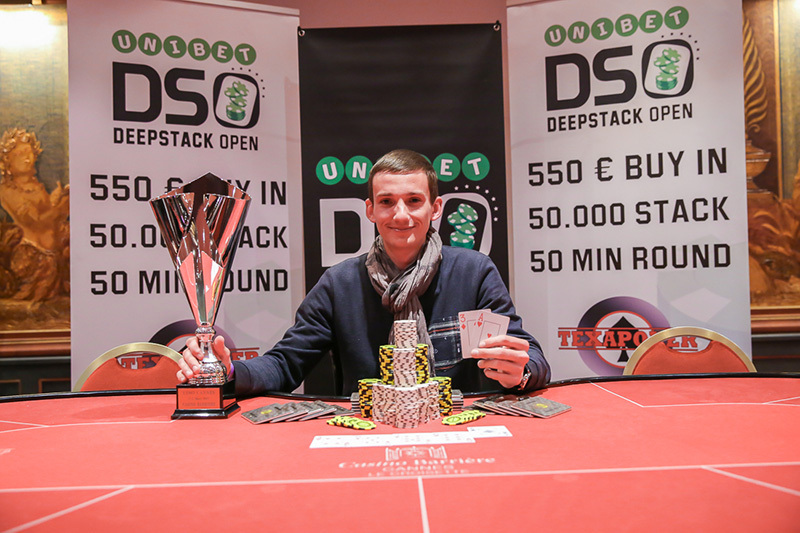 Guillaume Poncheral has won Unibet DSO Cannes after beating two-time UDSO champion Alexandre Réard heads-up. Poncheral, from Aix en Provence, reached the heads-up battle with Réard with a 6:1 chip lead. His €35,690 first prize was his first recorded live cash. Next Unibet DSO: Saint Amand les Eaux in April. Two-time Unibet Deepstack Open champion Réard, has played five Unibet DSO events in the last 12 months and made four final days, and three final tables. He was runner-up on the Unibet DSO Leaderboard last year. There were 414 entries in total for Unibet DSO Cannes 2017 creating a €194.580 prize pool; 44 players were paid. The €550 Main Event was a re-entry, with three start flights. This is the tour’s seventh consecutive year at Casino Cannes Croisette. German player Akin Tuna, who lead at the start of the final day at Casino Cannes Croisette, was fourth for €12,750. The EPT Dublin High Roller runner-up, who already has more than $400k in live tournament winnings. The Unibet DSO tournament structure – created with the help of international tournament director Matt Savage – offers a unique structure of regular blind increases to keep the action non-stop but giving players enough time to pass bad cards! Whether you're a recreational player or poker pro, Unibet’s DeepStack Open events offer a wonderful and affordable poker trip. All the destinations have been carefully chosen to make sure they’re easy to get to and hosted in venues offering a highly professional poker environment. The rest of the year’s schedule includes festivals in Saint Amand les Eaux near Lille in France (April 6-9), Lloret de Mar on Spain’s stunning Costa Brava (June 22-25) and Malta (July 27-30).